Ram Sevak Sharma's current head of Telecom Regulatory Authority (TRAI) has been extended till 2020. 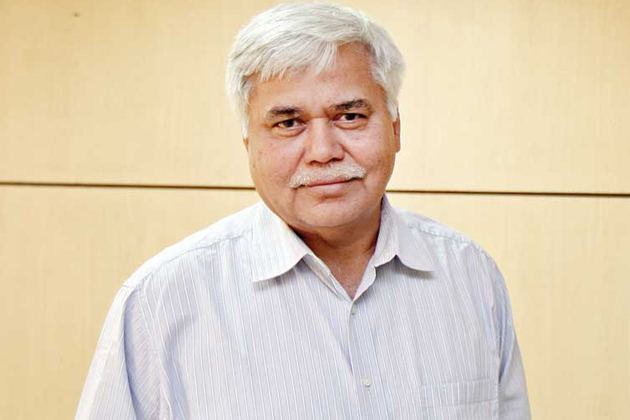 [New Delhi]: Ram Sevak Sharma will remain the head of the Telecom Regulatory Authority (TRAI) till 2020. In an official order issued on Thursday, his tenure has been extended for two years. According to the information received, the Appointment Committee of the Cabinet has approved the appointment of Ram Sevak Sharma as president of TRAI for 10 August, 2018 to 30 September, 2020. This order has been issued by the Ministry of Personnel. Explain that Sharma has been in charge of the TRAI head since 2015. It is worth mentioning that RS Sharma recently came to the public through controversy about issuing its Aadhaar number. He had openly challenged that someone could use his base number to do so. After this many people started sharing Sharma's personal information, PAN, mobile number, home address etc. After that the clarification came from UIDAI that the person, who is sharing information of RS Sharma on Twitter has not been taken from the base database server. Apart from this, through the Aadhaar, the information sent to her daughter's mail id was sent to her threatened mail. Many people criticized Sharma that he should not have made his base number public. However, in a statement later, Sharma had said that his motive was not to make people share their base numbers, as well as expose the threat of digital damage by disclosing, giving information or sharing the biometric identification number. How to apply Formatting on HTML Elements? How to solve Google Chrome Slow Page Loading Issue?